Initially search engine optimisation used to be a self-standing advertising discipline. It used to have a well-defined and well-accepted set of objectives and activities. However, with the passage of time, it became more intertwined with the different marketing activities. In fact, it even made it more difficult for people to know the ending point of SEO and the starting point of social media. 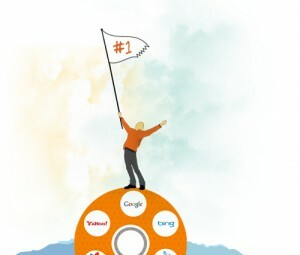 Moreover, the recent Google algorithms as well as the other developments suggest that the most popular search engine has embarked on a well-planned campaign. This is not just expected to change the nature of SEO but even devalue its practice in many ways. Now, after taking all of these into consideration, the first question which arises in our mind is whether SEO, as it exists today, would be there in the year 2015? Though the answer to this question is a bit tricky but one thing that is sure is that the SEO clients and practitioners need to be ready for a few serious changes in their way of operation. Now, while reading the points mentioned above, you must have wondered that improving the speed of a particular website includes things like conversion optimisation, programming and web design. Yes, it does and this is what is considered to be the upcoming change in this field. With the advancement of time, these things would be playing a significant role and would be indicative of the growing reliance of SEO on the varied marketing disciplines. The next thing, if you have noticed, is that link building is missing from the list of activities. Earlier or even now, link building is considered to be one of the most important techniques of SEO. However, while releasing the Penguin algorithm update, Google strongly followed what was being suggested by Matt Cutts. In fact, that algorithm update was designed as an assault on link spamming. Hence, the repetitive use of keywords in anchor text gradually became ineffective; once it was quite effective though. Instead of generating website rankings with the help of professional SEOs and their devious efforts, Google wanted the backlinks to sprout up naturally. It wanted search engine optimisation to be done with the development of relevant and unique content. Summary: This article reveals whether search engine optimisation would exist in 2015 and Google’s mindset about SEO.